Although I had been to community garage dumps before in Manila and Kenya with @wattsoflove, it always assaults my understanding of humanity and sincerely destroys my heart. It’s truly an indescribable experience. A single photo or a few words can NOT capture the horror of the place that these families are forced to call home. No human-being should be forced to live and provide for their family off another humans trash! The heat the smells, the garbage, the mud, the human waste, and the overwhelming assault on all of your senses makes it almost too much to take. It’s so hard to process and not everyone can handle the situation. On the day we went to the garbage dumps, we partnered with an amazing organization called Project Hope. Their is no other way to describe these people other than angles filled with mercy, compassion and love. They possess an ability to love that is beyond measure. I thank God their are people like them in this world! As soon as we entered the dumps our still driving van was overrun with children. They grabbed ANYTHING they could to travel with us. Although I was so concerned about them all getting hurt while riding on the van, their laughter, and cheers gave me the ability to see hope even in one of the darkest places in the world. When I took this photo I was unaware that the man ridding out on the kalabaw (water buffalo) was the Mangyan tribal leader. As a sign of respect and gratitude to our @wattsoflove team for bringing his village solar lights, both he and one of his son were the first to welcome us as we were finishing our one hour mountain climb. I was told that many of the villagers spent days, hacking and clearing the path and building new bamboo bridges so our journey wouldn’t be so difficult. He had such a quiet commanding presence about him it was obvious why he was the tribal leader. Even with the improvements to the path, it was one heck of a journey that I will never forget. Hanging with my new good buddy Gilbert. He was such a nice boy and so helpful to me! I will miss him so much! This is Willy Artates, age 47. 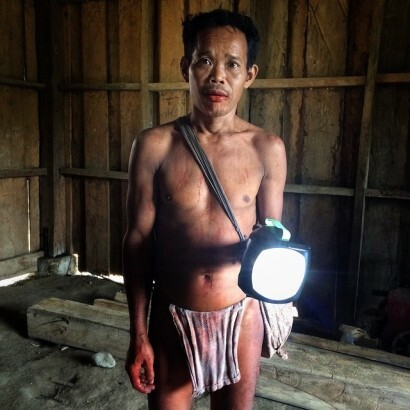 I met Willy while delivering solar lights in his Mangyan village yesterday. I first spotted Willy while climbing up a mountain path to reach his village. When I initially encountered Willey I was a touch intimidate do to all the “red liquid” around his teeth, lips, hands and chest. It was dripping all over him. Although I really wanted to photograph him, I didn’t know if we had been given permission to take images of the Mangyans and wanted to respectful to any cultural traditions. Thankfully, Willey came to our @wattsoflove distribution and I was able to interact with him and take his photo. I was also lucky enough to meet his wife and 15 children! Yep, that’s right 14 girls and 1 boy! Oh, and the red liquid all over him is called nga nga. It’s their version of chewing tobacco. No $150 cross fit shoes needed for these feet. 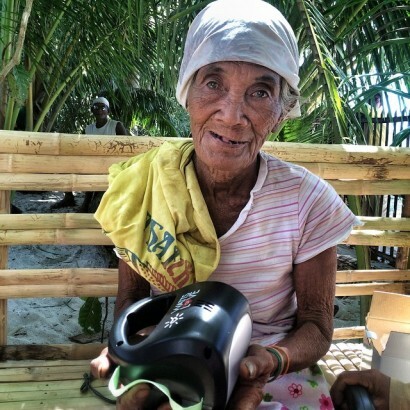 Yesterday we delivered 300 @wattsoflove solar lights to a remote Mangyan village. 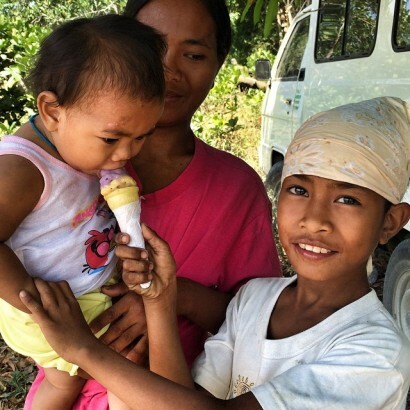 The Mangyan’s are the first native people to live in Mindoro and still live a very primitive life. The Mangyan’s would be similar to Native American Indians in the US. It was a 4 mile round trip trek up a steep and rocky mountain in the blistering sun. Because it was so steep, it was as hard coming down as it was going up. I will admit it was pretty humbling seeing adults and kids in flip flops or bare feet pass us up as we struggled in out latest high-teck hiking shoes. 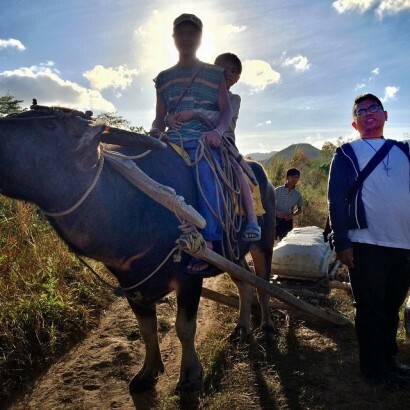 Good thing the kalabaw’s (water buffalo’s) carrying our solar lights didn’t seem to mind the terrain or heat. Mooow! This is my new best little buddy! His name is Gilbert and he has the sweetest heart and a million dollar smile. Although I knew Gilbert had a big heart, I was blown away when I purchased him a little ice cream. Although he was thrilled when I handed it to him, he didn’t even take the smallest taste. He walked right over to his baby sister and gave her several licks first. She loved it! Gilbert’s actions blessed me so much and revealed that even though he and his family have very little material possessions he has been taught the value of sharing. Thank you Gilbert for teaching me again the value of sharing. I hope to see you again someday! 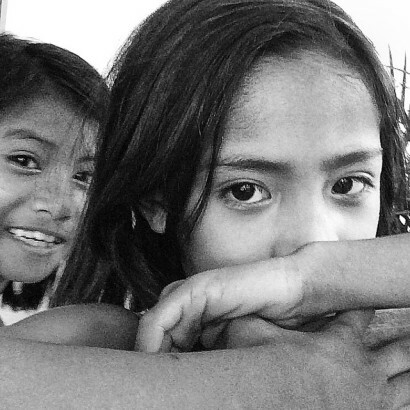 She watched me for over an hour as I took pictures and played with the people from her village. She knew I was aware of her. I motioned her to come over several times. Each time she refused. Not even three pieces of candy would bring her closer for me to say hello. I knew if I approached her she would run away. I also knew any connection we would make would be on her terms. Tired and hungry, I sat for a quick break to eat a bread and Cheese Wiz sandwich. It was my first and actually not bad when you are super hungry. Suddenly, I saw a small hand on my forearm. Like a bird landing on my shoulder to rest, I moved very slowly and said… “kamusta ka?” She smiled and few away. My photo from yesterday is in honor of my son. Whenever I am playing and laughing with all the the little Filippino boys I am always reminded of my son. I know most parent are really proud of their children and work hard teaching them life lesson. I am no different. However, the greatest trait my son has I must admit I did little to help foster, he was born with it! My son has such and compassionate heart and is so quick to defend and help others. He is truly amazing and make me so proud. I miss you very much Kaedin and gave this mom of 5 children this solar light in your honor yesterday. After I told her what the name on the box meant she told me to tell you “thank you” and that she hopes to meet you someday. Just climbed to the top of a mountain on Ilin Island to see if I could post something and I was greeted with this wonderful article that was just published by News Week and about our fantastic #mobilephotonow exhibition with @columbusmuseum. 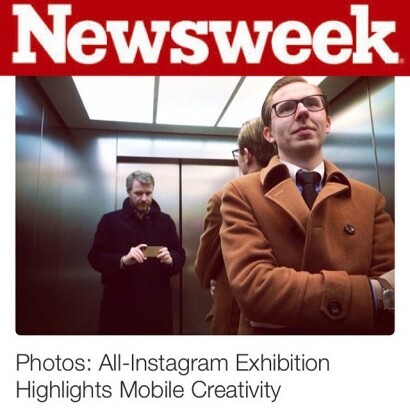 Thanks again for everyone that made this happen and thanks @newsweek for embracing the mobile photography movement. I have learned to trust that when things are going wrong they are actually are going right. The man in this photo is named Jose. He is 67 years old. Jose was severely crippled while working in the fields. Before his stroke, Jose worked two jobs (farming and fishing). Today when I woke up I was exhausted, hot, sweaty and had little energy. As I was thinking about all the things we needed to accomplish and images and video I wanted to shoot to tell the story of @wattsoflove I felt overwhelmed. What I didn’t plan today was my encounter with Jose. 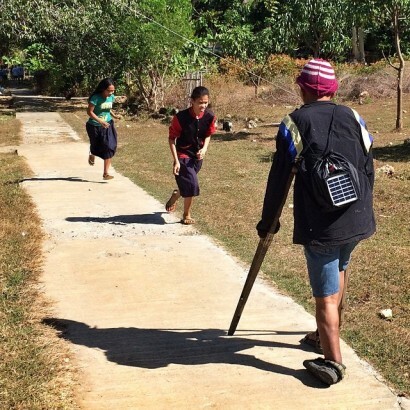 As I left our base camp this morning to begin a 45 minute mountain trek to the far side of the island, I suddenly ran into Jose walking with his @wattsoflove solar light, backpack, crutches and severely crippled feet. I stopped and just watched as several children ran past him. I was unsure if I should take his photo. The moment felt so intimate, so personal and I thought that perhaps this was just a moment for me and it was not meant to be recorded. I walked up to him and we talked for a few moments. He was so thankful and I was so touched. As we parted, I turned and took this photo. Encountering Jose wasn’t on my “to do list” today but it WAS the the most important moment of my day. Thank you Jose for giving me what I needed today. 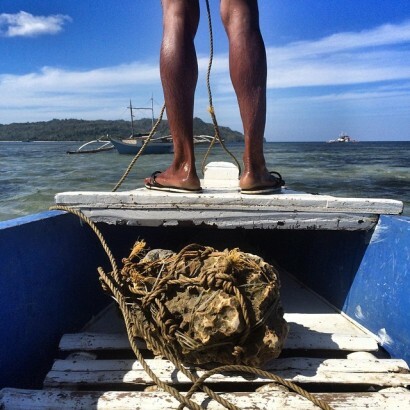 Today as I was being ferried out to our boat to continue my work with @wattsoflove, I was so struck by my captains “rock” anchor. Although the people in Ilin Island have so very little, they make complete use of every resource they have available to meet their needs. Nothing is shiny, new, or wrapped in a pretty box. Most things are worn, dented and repurposed. Or better described as utilitarian and functional. I could never imagine myself or someone in my circle of friends loosing their boat anchor and choosing to use a found rock to replace it. Although this rock and a shiny new $150 anchor will function exactly the same way, I can tell my Captian “rock” anchor has way more meaning and something to say to all of us. I am just about on the island. 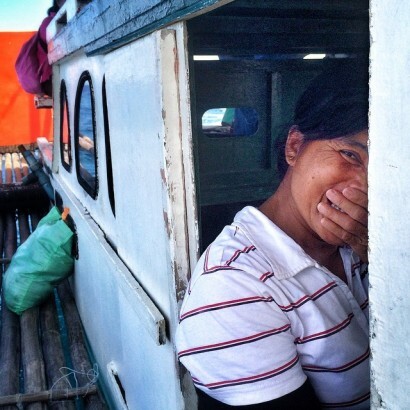 As I try to photograph some of the local people traveling with us on the banka boat I am suddenly reminded that most of the women I try to photograph all laugh and cover their smiles the moment I begin taking photos. It is always so cute and makes the people even more endearing to me. I am so happy to have returned. 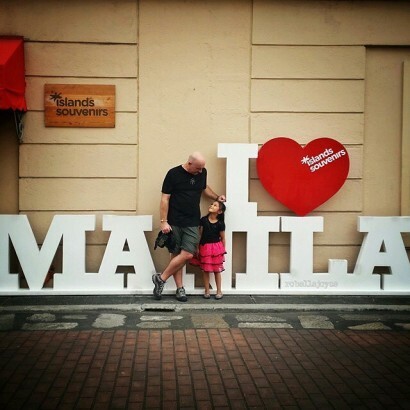 Had a fantastic instameet yesterday in Manila. The community here is so fun, talented and so full of joy. Plus I gained a new Filipino niece. My new niece calls me “Uncle Kev.” It’s great. 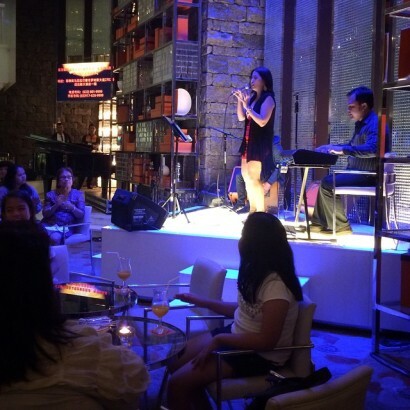 #JJManila2015 by @robellejoyce. After 28 hours of travel, I am finally in Manila. Valentine’s weekend is in full swing here and made Manila traffic even worse than normal! As I sit at the bar with my sleep aid, San Miguel beer at arms reach, a 20 something girl in a skin tight red dress and 5 inch heels sings Rihanna “We Found Love in a Hopeless Place” to all the married couples, lovers and one, tired, bald white guy at the end of the bar. Although I don’t know if I will find love in a hopeless place, on this Valentine’s Day, I am reminded of Plato’s famous quote… “He was a wise man that invented beer.” No truer words were ever spoken! 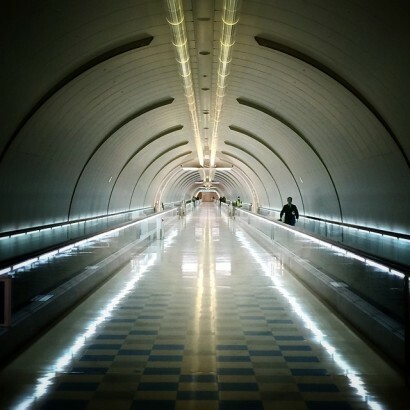 On some journeys I feel as though I am being pulled towards the light. And after eating the worst airlines food ever, I thought I was going to meet my maker! Next stop Manila. Check the tires, fill her up with gas, wash the windshield and warm the peanuts. 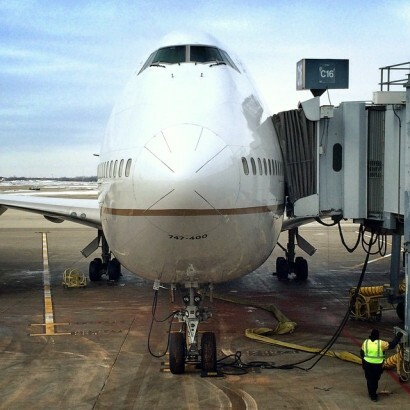 This HUGE bird is taking me to Tokyo and then on to Manila. So begins another trip with @wattsoflove. I was up packing till 2:00am and in a cab to the airport by 7:00am. #badhabit. Anyone have any good tips on how to pass the time for a 12 hour flight? Wheels up and I am off!!!! 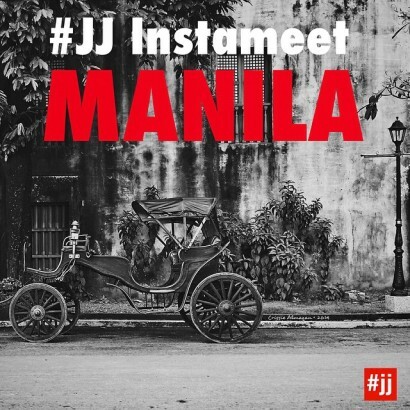 Announcing a Manila #JJ instameet. Since I am going back to the Philippines to delivery solar lights with @wattsoflove, I decided to call a #JJ instameet. The turn out last year was fantastic and I am hoping to see many of the same smiling faces. Where: Fort San Santiago, Intramuros. 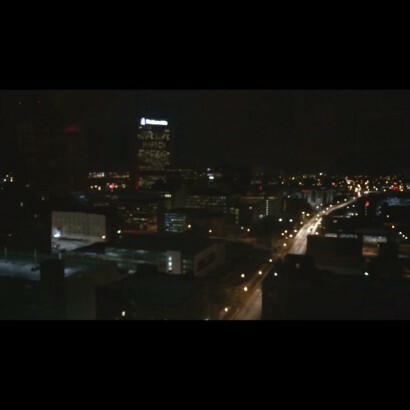 When: Sunday, Feb. 15th at 2:30pm. Thanks to my friends @robellejoyce., @crissieness, @mlavin_ud for helping to spread the word and organize things. This year no nosebleeds . 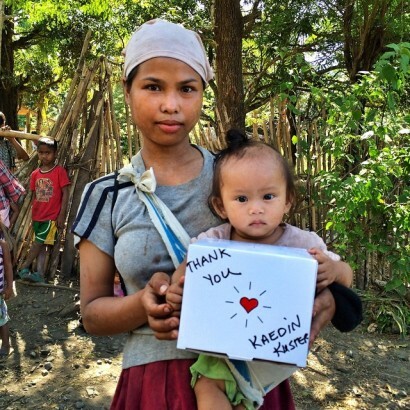 So excited to be returning to the Philippines and helping people in need. If haven’t heard about my work with @wattsoflove please check it out. This is Nini and her granddaughter. 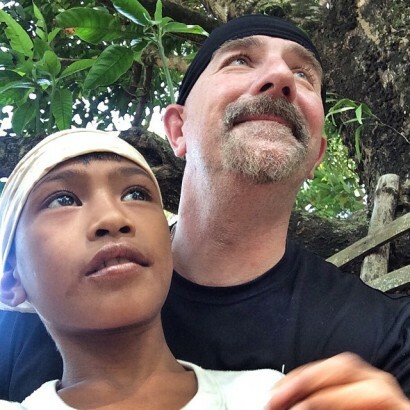 I will be traveling to the Philippines again this week. 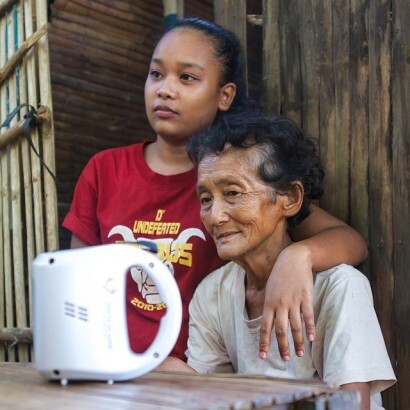 Nini was one of the first recipients of a @wattsoflove solar light. When we were giving Nini her light she said “why are you giving me this light? I am too poor to be loved!” It was truly heart breaking. I can’t image the pain one must feel to express those type of words of despair. When we gave her the light she was thrilled. Look at the expression on her face as she looks at her light. Amazing! It has been a year since I was back to the Philippines and Ilin Island I am sure may things have changed, however the one constant will be that Ilin Island will always remain the place were I first realized photography can help provide and restore someone’s dignity. I was honored to take Nini’s photograph. 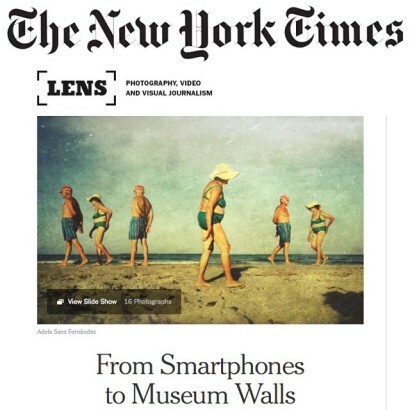 Our Mobile Photo Now exhibition held in conjunction with the #JJ Community and @columbusmuseum was featured today by The New York Times @nytimeslensofficial. Think it is safe to say that mobile photography is now officially a major movement in the photography world. Click the link in my bio to read the feature. Today my heart is so content and full of joy. The show at the @columbusmuseum was truly a high-water mark in my photography career. I got up early today to get to the museum so I could sit and view the exhibit without working, distractions or feeling like I needed to be doing something! It was amazing. Being all alone and in silence I was finally able to truly enjoy the show personally for the first time. There are SO MANY people to thank and acknowledge for all their efforts. I have worked on this project for 15 months and the two hours I had all to myself today was life giving. As I sat there my thought was “We did it! We really pulled it off.” Yes! Please tag anyone who you know who’s image is in this little slide show. We are woking on a way to show everyone their photos. Please be patient. Cover photo by @el_fotomat and @shineonyoucraydiamond two fantastic ladies I got to meet this weekend. The one thing that is always hard for me is taking photos at our #JJ COMMUNITY events. I always seem to be to busy enjoying the interactions, talking and listen more then snapping photos. 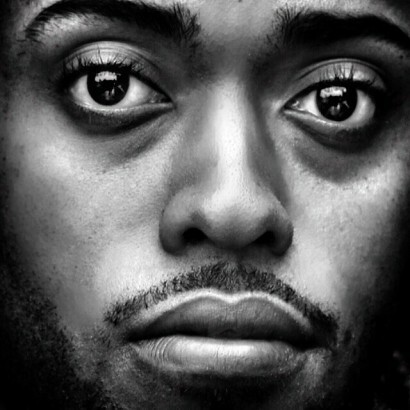 With that being said, I ALWAYS have time to force @joshjohnson into collaborating with me on a portrait. If you zoom into the iPhone to the left, you can see that the boy must be at least 3 inches off the ground. Hangtime baby! It was an amazing opening exhibition evening last night at @columbusmuseum. Meeting so many great people was truly AWSOME. I am so proud to see #mobilephotonow become a reality after working on it for 14 months. All of the photos on display truly blew me away. Looking forward to teaching today at our workshop and photo walk. A historical moment in photography, social media and community is about to begin! @joshjohnson CMA and I are so excited that so many of you will be here this evening. Josh and I are getting a sneak peak of the show in 1 hour. I am totally pumped! 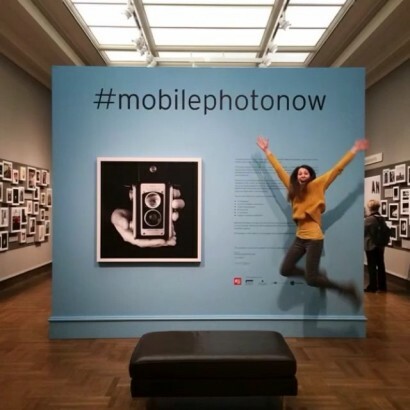 From 5:00 PM to 5:30 PM the MobilePhotoNow gallery will be open to only photographers and their guests. At 5:15 PM we will host a champagne toast. As we want to give everyone as many opportunities as possible to gather, talk and connect, the mobile photography panel discussion scheduled for Friday afternoon will NOW be free for all photographers and their guests. We want to thank @columbusmuseum for eliminating this fee and working with us on this situation. Photographers who have already paid for the panel discussion will be reimbursed shortly by the museum. Thank you to everyone for participating in this exciting project, we look forward to a wonderful weekend of events. 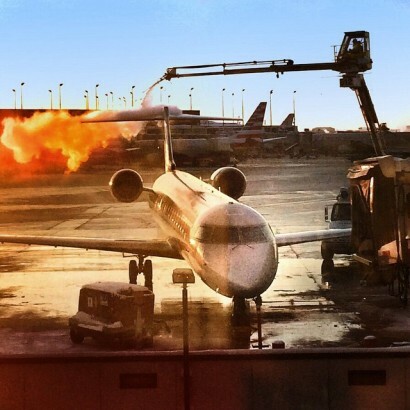 Although I love sunrises and sunset light for taking photos, the way the de-icing smoked looked as it was applied to my plane this morning really gave me pause! Travel Angels be with me on my way Ohio. Are we gonna see you in Columbus Today? 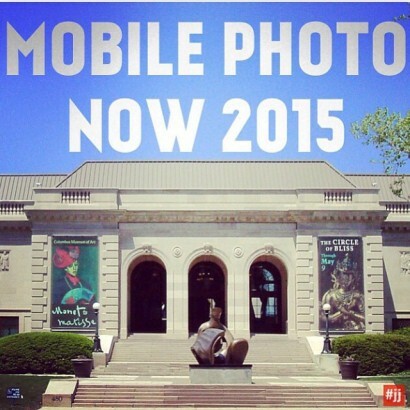 As you’ve probably heard we’re partnering with the Columbus Museum of Art for Mobile Photo Now 2015. Hundreds of images will be on display and Josh Johnson and I will be leading workshops and panel discussions. You can also join us for a photo walk. The stats on this event are pretty amazing. 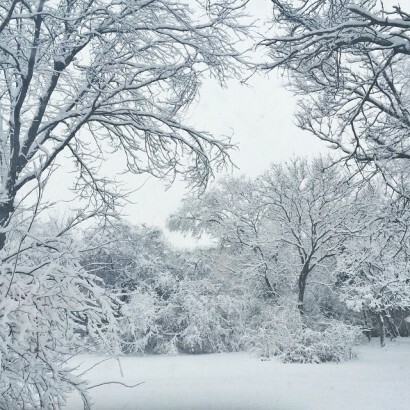 45,000 photos were submitted. The images came from 6 continents and 89 countries. Hope to see you there! . This photo make me feel so grateful. I photographed these boys having spider fights in a smokey mountain dump last year. Yesterday, I was just informed that someone saw this boy with the damaged eye in the photo and was so moved that they have decided to take action. 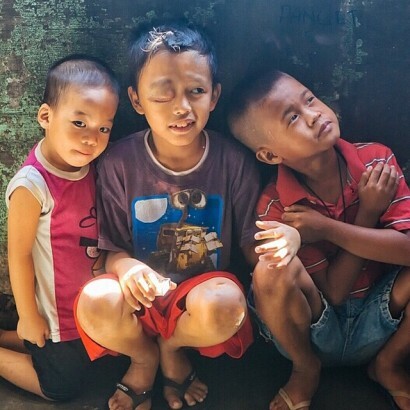 The donor is now paying for a medical team to address his eye and provide sight to this boy! Today let us all remember that we are all called to the best we can with the gifts we have to help those that need it. 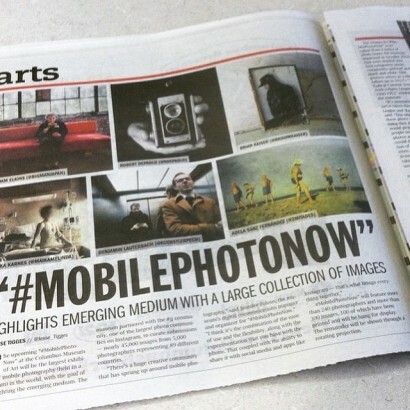 Fantastic article in last week’s @ColumbusAlive about #MobilePhotoNow, which opens February 6, just a few days away! 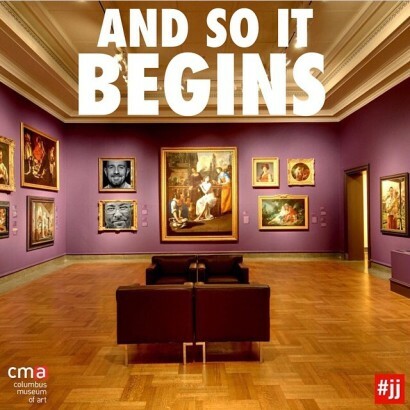 So thrilled to be copresenting this major worldwide exhibition with the #jj community (@joshjohnson) and CMA. 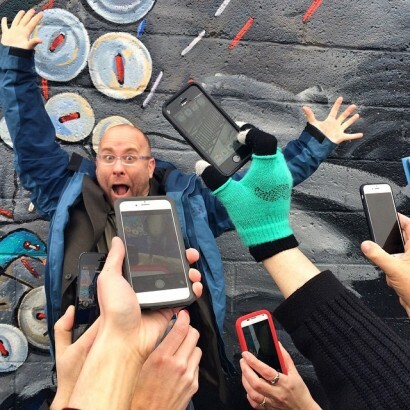 It will be the largest mobile photography exhibition ever presented by a museum. #MobilePhotoNow includes 320+ photos from 240 worldwide photographers selected from 45,000 images submitted by more than 5,000 photographers from 89 countries. That’s nearly half the globe! Also thrilled so many of the 240 photographers from around the world will be here on February 5 for the special member opening preview. We’ll continue the celebration the next day on February 6 when the exhibition opens with a Mobile Photography Workshop and Mobile Photography Panel discussion with CMA, @joshjohnson and me @kevinkuster. Please note space is filling up. Visit members.columbusmuseum.org/mobilephotonow to register. A big thank you again to EVERYONE who participated in and shared this amazing project! It takes a village! Everyone is born a king or queen, only those who know it become one. My edit @scottyrocks capture.